It is with deep regret that I inform you that Dr. Charles William Vaughan, an Emeritus Fellow, passed away on March 26, 2014 at the age of 87 years in Hingham, Massachusetts. Inducted into the ALA as an Active Fellow in 1984, Dr. Vaughan was recognized as a consummate physician and gifted teacher who continued teaching and mentoring residents and medical students even after his retirement. Dr. Vaughan was a veteran of World War II who received his undergraduate and medical degrees at Case Western Reserve University. He continued his medical training by completing his internship and residencies in surgery and otolaryngology at Massachusetts Memorial Hospital, as well as residencies at Beth Israel Hospital and the VA Medical Center, in Boston. 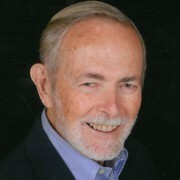 He served as a member of the Boston University School of Medicine (BUSM) in various positions, including Clinical Associate Professor, acting chair of otolaryngology, director of the Residency Training Program in Otolaryngology, and Chief Otolaryngologist at the VA for more than 55 years.  Dr. Vaughan joined Dr. M. Stuart Strong in pioneering the use of the carbon dioxide laser in otolaryngology surgery as well as the development and utilization of instruments for microsurgery of the larynx and ear. In the field of otolaryngology, he helped with the creation of the most advanced program at that time for treating patients who were diagnosed with conditions of the head and neck while training future generations of patient-centered surgeons. Dr. Vaughan also used his talents and knowledge in research to author more than 100 papers. In addition to being a highly regarded otolaryngologist, Dr. Vaughan was able to combine his love for medicine with a love of music. He was a student at The Julliard School where he took classes to understand the voice. While there, he also taught singers on how to preserve their voices. He served as an on-call specialist by assisting professional actors and singers when they performed at Boston’s theaters. As an accomplished artist, Dr. Vaughan photographed and painted grandchildren, children, friends and landscapes. In the BUSM Department of Otolaryngology’s administrative office, several of his paintings adorn the walls. With this passing, Dr. Vaughan’s memories are embraced by Jo Anne, his wife of nearly sixty years; four daughters: Kimberly (Edward) King, Laura Vaughan (Paul Andonian), Lea (Scott) Eliot, and Amy (Lawrence) Cohen; five grandchildren and his sister, Lea (Roger) Brown. A memorial service was held on May 10, 2014 at the Performance Art Center in Hingham, MA. The family requested, in lieu of flowers, that contributions in Dr. Vaughan’s memory be made to the Trustees of Boston University and directed to the Strong Vaughan Professorship Fund. If you wish to contribute, the mailing address is Boston University School of Medicine, 72 E. Concord Street, L219, Boston, MA 20118.